HeadMontana US State Montana is a western state defined by its diverse terrain ranging from the Rocky Mountains to the Great Plains. It’s nicknamed “Big Sky Country” for its wide-open spaces, including Glacier National Park, a vast wilderness preserve that passes into Canada. The park’s many snow-capped peaks, lakes, and alpine hiking trails are showcased along its famed Going-to-the-Sun Road, stretching 50 miles. 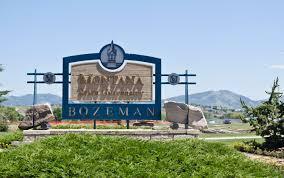 Capital: Helena Population: 1.024 million (2014) State bird: Western Meadowlark Minimum wage: 8.05 USD per hour (Jan 1, 2015) Colleges and Universities: Montana State University Montana is the fourth largest U.S. state by area, behind Alaska, Texas, and California, but with an average of just six people per square mile, it is one of the country’s least densely populated states. 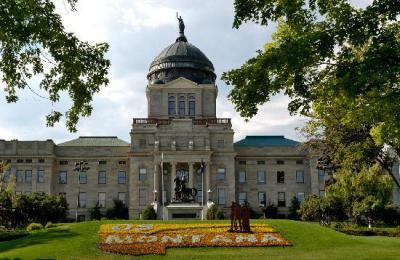 Although the name Montana is derived from the Spanish montaña (“mountain” or “mountainous region”), it has an average elevation of only 3,400 feet, the lowest among the Rocky Mountain states. 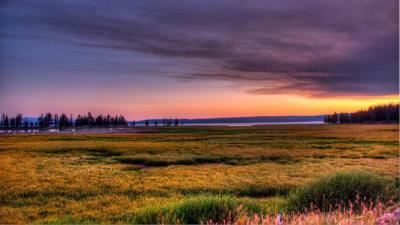 Flathead Lake is the largest freshwater lake between the Mississippi River and the Pacific Ocean. It is 28 miles long, between 5 and 15 feet wide and encompasses nearly 200 square miles. The National Bison Range was established in 1908 in western Montana to preserve wild bison from extinction. In addition to elk, deer, antelope, bears and other animals, roughly 500 bisons live in the wildlife refuge. The coldest temperature in the 48 contiguous states ever recorded was -70 degrees Fahrenheit in Rogers Pass on January 20, 1954. In January of 1972, Loma, Montana, broke the national record for the greatest temperature change within a 24-hour period by recording a 103-degree climb from -54 degrees Fahrenheit to 49 degrees Fahrenheit. In 2000, 50 of Montana’s 56 counties were designated “frontier counties” by the National Center for Frontier Communities using a matrix that measures population density as well as distance and travel time to a service/market center. In 2010, Montana was home to an average of 6.8 people per square mile. Eleven tribal nations live on seven Indian reservations in Montana. A twelfth tribe, the Little Shell Band of Chippewa, lives within the state without its land. 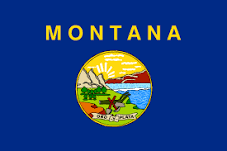 Montana’s large gold and silver mines gave rise to its nickname, the Treasure State, and its state motto, “Oro y Plata” (Spanish for “Gold and Silver”).